Lots of stamping in this week’s video. :) I wanted to create a single layer card with just a few embellishments (the hearts and brad), and the best way to do this was to create depth with layers of stamping. 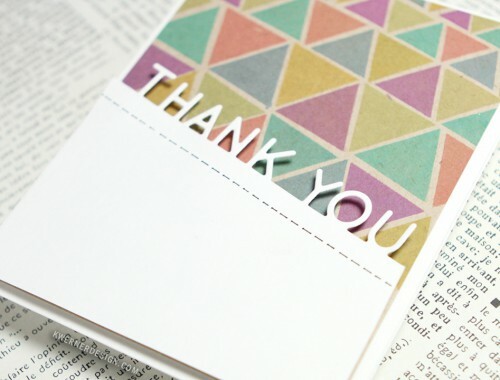 I used Inkadinkado’s Stamping Mask Paper to mask the area for the label. CHALLENGE: Create a single-layer card. 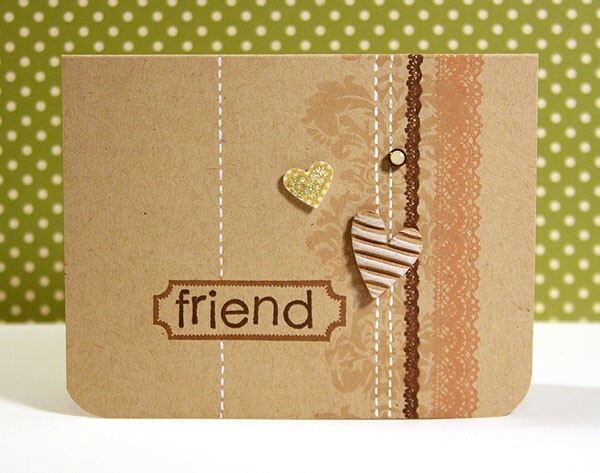 Upload your card to the Two Peas gallery and select this week’s Finally Friday challenge. 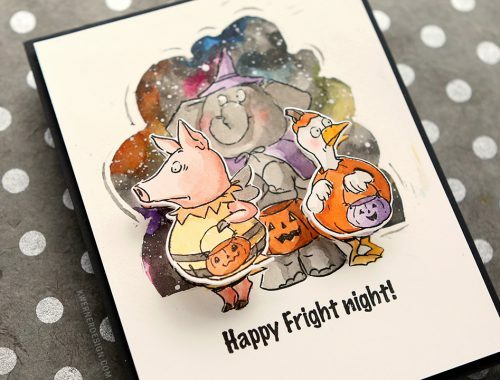 Watercolor Halloween Card with Movement!